Black Box | Have kids, they said. It'll be fun, they said. Ah, the big question. What is a Black Box? A company called Sample Co. started up this awesome company – they send out boxes of full size samples to registered ‘customers’, based on personal profiles. That is, you register (for free) and complete a profile. They get a series of product samples, and send boxes out to a limited number of people whose profiles suit. Most boxes are sent out in lots of 5000, though this most recent lot was 30,000 people! As I mentioned, it is free to register (though there is a waitlist now) although you do have the option of paying a small amount for “silver” membership, guaranteeing you at least one box per year, as well as other benefits. You can find out more information at www.sampleco.co.nz. 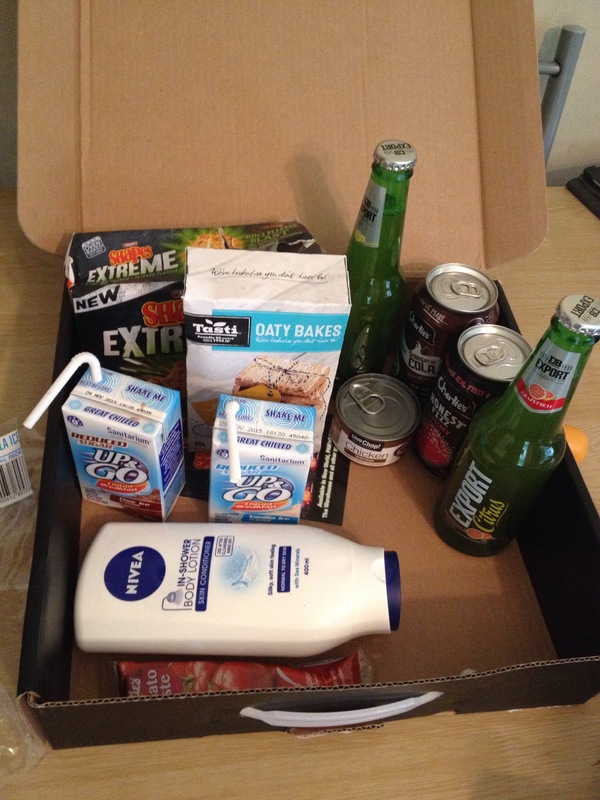 Posting pictures to the Black Box facebook page, to their instagram, and entering competitions that they run, all give you more chance of receiving subsequent boxes, as does purchasing products you see in Black Boxes. Product sampling at it’s best. I should mention here, I normally prefer to open the box when I am home alone. It’s more magical that way! Plus I can instantly hide the things that I want for me, that are mine-all-mine. None of this sharing business! And so, here is my review of this product. In my Black Box, I received the following items. These were a nice change from normal muesli bars. Very oaty, as the name suggests. And lovely flavour. I ate far too many in the packet, that’s for sure. So, I’ll call it a winner. Would I buy it again? I think so. We are massive fans of this product in this house! I’m not a big tuna eater, so I make a lot of tuna-based recipes using these cans of chicken instead. Mr T will often take a can to work with him, using it to make a sandwich for his lunch. And a great, easy meal for us is a pasta bake, with a tin of this stirred through cooked pasta, then sprinkled with cheese and baked for 10-15 minutes. Yum. Will absolutely be buying this many, many times again. 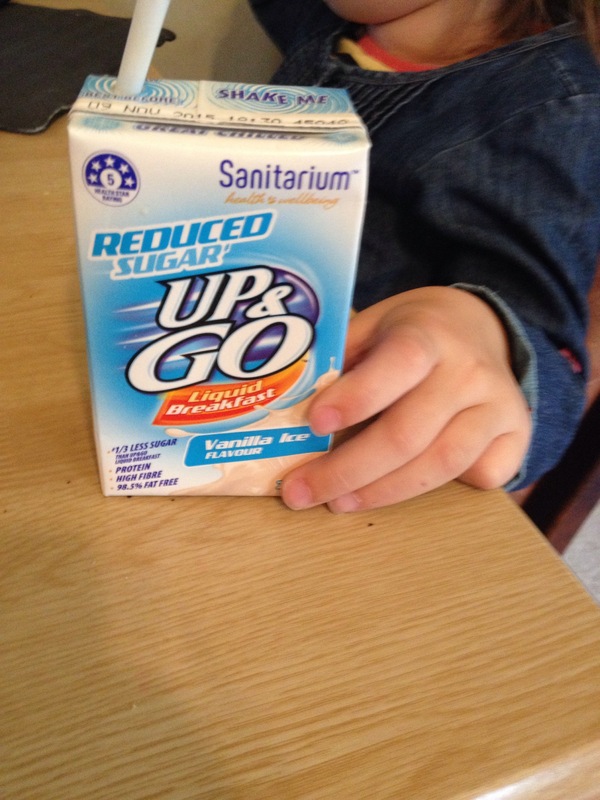 My kids are always asking me for Up & Go so the appeal of this particular product was the low sugar claim. It was nice enough, I guess. Pretty standard for what it is. I am not interested in buying these as a breakfast substitute (mostly because I don’t eat or drink breakfast) but I have a voucher for it now, so may well buy it again, if only to try it further. These were great! The certainly lived up to their claim that they are crisp, crunchy and flavourful! 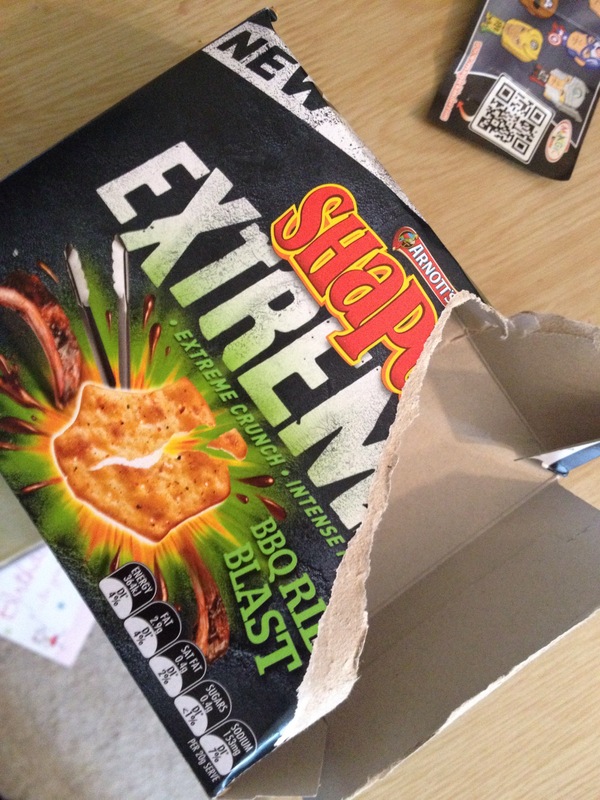 After the kids literally ripped the box open and tore into it, it lasted about ten minutes. Great flavour, I think I’d like to try the other flavours. I’m not a beer drinker, haven’t been able to stomach it since a very *ahem* adventurous night when I was 18. So, for this I gave the task to husband. The verdict? “They are alright”. Ok! That, folks, is why I do the reviewing and not him! That being said, I did have a sip of both flavours (the lemon and the grapefruit), thinking that maybe the citrus would overpower the (bleurgh) taste of beer. It did not. I freakin LOVED this. So tasty, not overly sweet like you would expect a raspberry drink to be. Oh, even writing this is making me want some. Might have to pop into the supermarket tomorrow, methinks. I should confess – I told the kids we wouldn’t be having this drink. I went and put it in the fridge, and then hid in the fridge and gulped it back. Worth it? You betcha. This was pretty good, albiet very different to other cola drinks. This one tasted quite a lot like a cola lolly, or a cola flavoured ice block or something. Did I like it? Not sure. The lemon was a nice touch, and it certainly paired well with the Oaty Bake bars. Would I buy it again? Not sure, to be honest. Jury’s out on this one. This is a pretty standard product, made appealing because it comes in a pouch containing exactly 2 tablespoons of paste. This is great because so often we buy large quantities of something, only to use a smidgen and have the rest sit n the fridge until it grows a colony of it’s own. I was able to use the entire tube of tomato paste and then throw the packaging away with no waste. 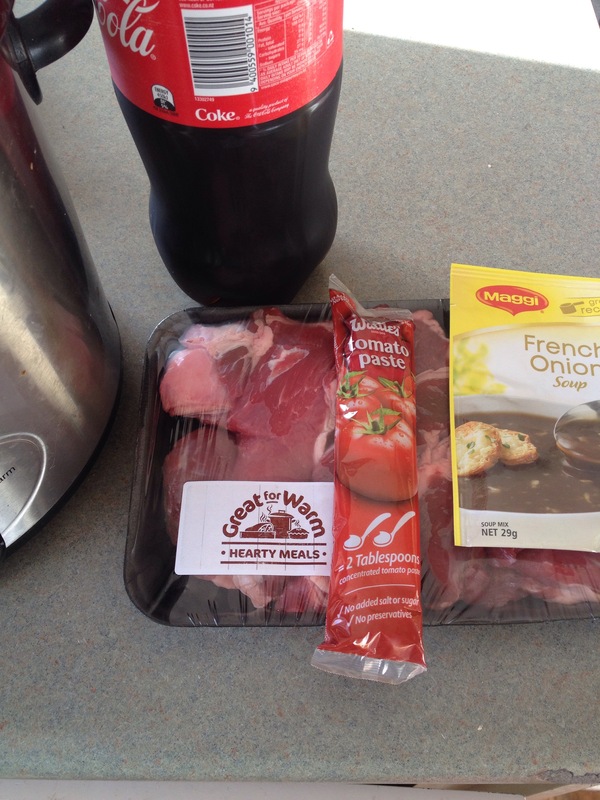 I chose to use the paste in a different way so I made this Coca-Cola Beef. Very, very delicious! And so, there you have it. One Black Box, done and dusted. I received my online survey and completed that today – it’s really important that you do this, as it effects your eligibility for future boxes!